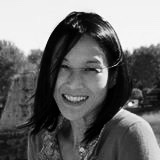 Melissa Park, Ph.D., is an Associate Professor in the School of Physical and Occupational Therapy, Faculty of Medicine at McGill University, a core member of Participatory Research at McGill and full member of Centre de recerche interdisciplinaire en réadaptation du Montréal métropolitain. As an occupational therapist with a background in History of Art, Occupational Science, and Medical Anthropology, she has extensive clinical, research and pedagogical experience using the terms of humanities and rehabilitation to understand healing, transformative and relational processes at dyadic, systemic and sociocultural levels from first-person or experience-near perspectives using narrative-phenomenological and aesthetic conceptual frameworks. Her funded ethnographic and participatory research has focused on understanding and working with multiple stakeholders in mental health related issues, including persons with invisible disabilities, family members, health and social care professionals, policy makers and citizens on topics ranging from “healing” encounters and policy implementation to issues of inclusion, equity and justice. Park, M., & Zafran, H. (2018). View from the penthouse: Epistemological bumps and emergent metaphors. Qualitative Health Research, 28(3), 408-417. Article first published online: December 12, 2017. Grond, F., Park, M., Tembeck, T. & Blain-Moraes, S. (2017, Aug). Interfacing biomusic & autism: Integrating ethical considerations into affective technology design, Affective Computing and Intelligent Interaction, San Antonio, TX, US. Lee, K., Wittich, W., Kehayia, E., & Park, M. (2016). The use of movement-based interventions with children diagnosed with autism for psychosocial outcomes - A Scoping review. Research in Autism Spectrum Disorders, 24, 52-56. Park, M., Lencucha, R., Mattingly, C., Zafran, H., & Kirmayer, L. J. (2015). A qualitative study on the ethics of transforming care: examining the development and implementation of Canada’s first mental health strategy. Implementation Science. Park, M., Zafran, H., Stewart, J., Salsberg, J., Ells, C., Rouleau, S., Estein, O., Valente, T. (2014). Transforming mental health services: a participatory mixed methods study to promote and evaluate the implementation of recovery-oriented services. Implementation Science, 9(1), 119 [Impact Factor: 4.21]. Schwartz, R., Estein, O., Komaroff, J., Lamb, J., Myers, M., Stewart, J., Vacaflor, L., Park, M. (2013). Mental health consumers and providers dialogue in an institutional setting: A participatory approach to promoting recovery-oriented care. Psychiatric Rehabilitation Journal, 36(2), 113-115. Johansson, K., Rudman, D., Mondaca, M., Park, M., Luborsky, M., Josephsson, S., & Asaba, E. (2013). Moving beyond ‘Aging In Place’ to understand migration and aging: Place making and the centrality of occupation. Journal of Occupational Science, 20(2), 108-119. Park, M. (2012). Pleasure, Throwing Breaches, and Embodied Metaphors: Tracing Transformation-in-Participation for a Child With Autism to Sensory Integration-Based Therapy Session. OTJR: Occupation, Participation and Health, 32 (1 Suppl), S34-S47. Park, M. (2010). Beyond calculus: Apple-apple-apple-ike and other embodied pleasures for a child diagnosed with autism in a sensory integration based clinic, Special Topic: Autism and Neurodiversity. Disability Studies Quarterly, 30(1). Johansson, K., Lilja, M., Park, M. & Josephsson, S. (2010). Balancing the good: A critical discourse analysis of home modification services in Sweden. Sociology of Health & Illness, 32(4): 563-582. Park, M. (2008). Making scenes: Imaginative practices for a child with autism in an occupational therapy session. Medical Anthropology Quarterly, 22(3), 234–256.